Nine of Scotland's finest castles adorn this cotton teatwoel. 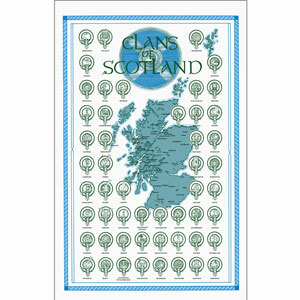 Celebrate your clan heritage on a cotton teatowel suitable for framing. 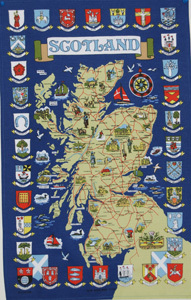 Beautiful towns of Scotland are mapped on this navy blue cotton teatowel. 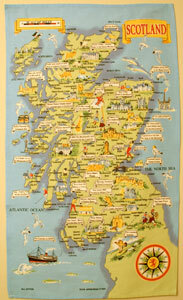 Historical sites of Scotland mapped out on this blue cotton teatowel. 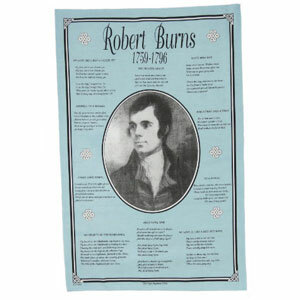 Capture the spirit of the Burns Supper highlight with this teatowel! 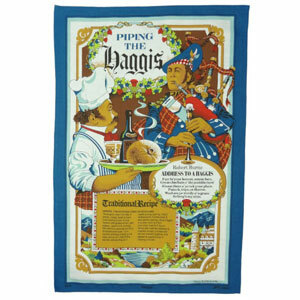 Celebrate the birth of Prince Louis with this large cotton teatowel. 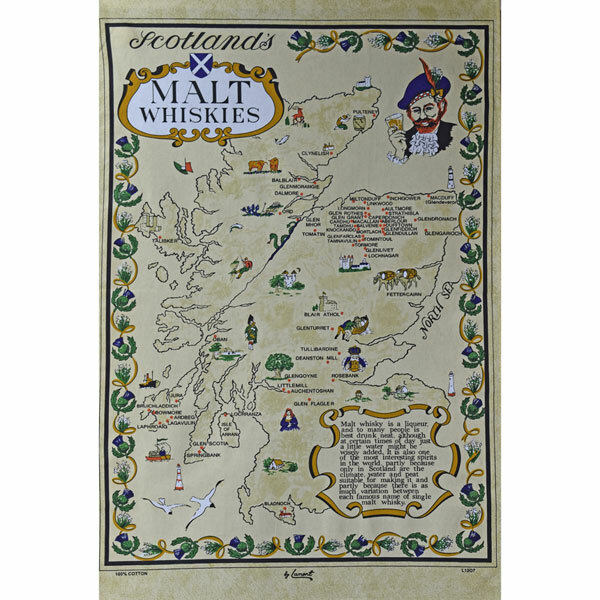 Handsome Scottish Terrier and West Highland Terrier on a blue cotton teatowel. 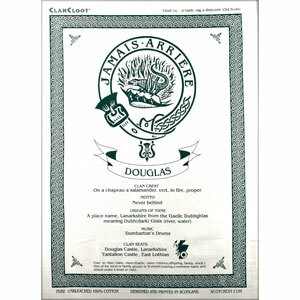 Charles Rennie Mackintosh was the master of Glasgow design - here are many of his designs on a washable cotton teatowel.